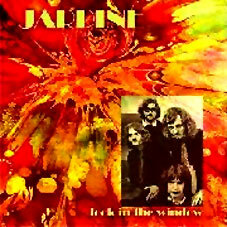 Jardine’s album was recorded in three glorious weeks in June 1969, at Sounds Aquarian Studios, a stone’s throw from that justifiably famous fashion hub, Carnaby Street. The sessions were fun. Polydor was supposed to release the album. Musicians dropped in to say "hello" and ended up on the record (uncredited)—among them Peter Frampton, Andrew "Andy" Bown (Herd and Status Quo), and Brian Appleyard (drummer from East of Eden). Singer Mickey Cox had been in Robert Plant’s pre-Led Zeppelin group The Band of Joy—it was Cox, in fact, who became their singer when Plant left the band. But suddenly, thanks to band management problems, the LP was shelved. Keith Law, who had written all of the songs, joined Velvett Fogg for their only album, and Jardine was forgotten. Now, forty years later, you can be among the first to discover the brooding excellence of these tracks, music both strange and sinister, with moments of fragile beauty. There are some very pretty songs here (haunting melodies abound), but there is no escaping the dark side of life (‘Masochists of Strangulation,’ ‘Execution of the Child,’ and monumental dirge ‘Blackbirds of Jardine’, which tells of self-same birds, and the fact that they will “destroy you, and leave you pain, pain, pain”), songs perhaps more akin to the band Comus than to anything else we have encountered from the psychedelic era. There are also heavy guitar solos, churning organ, flute, and flowing sitar, for good measure. A 16-page booklet includes a band history lyrics, and comments on the songs by Keith Law. A lost jewel of late-1960's UK psychedelia, from a short-lived but charismatic band!